Normally, electricity flows throughout the heart in a regular, measured pattern. This electrical system brings about heart muscle contractions. A problem anywhere along the electrical pathway causes an arrhythmia, or heart rhythm disturbance. By accurately diagnosing the precise cause of an arrhythmia, it is possible to select the best possible treatment. While electrocardiograms (ECGs) are important tests of the heart's electrical system, they are brief tests that record only the events that occur while the tests are running. Arrhythmias, by their very nature, are unpredictable and intermittent, which makes it unlikely that an ECG or electrocardiogram will capture the underlying electrical pathway problem. Even tests that stretch over longer time lengths, such as Holter monitoring, may not capture an event. During an EP study, a specially trained cardiac specialist may provoke arrhythmia events and collect data about the flow of electricity during actual events. As a result, EP studies can help locate the specific areas of heart tissue that give rise to the abnormal electrical impulses that cause arrhythmias. This detailed electrical flow information provides valuable diagnostic and, therefore, treatment information. EP studies most often are recommended for patients with symptoms indicative of heart rhythm disorders or for people who may be at risk for sudden cardiac death. While ECGs are non-invasive, an EP study is somewhat invasive. 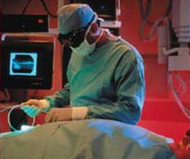 The study is performed after giving local anaesthesia and conscious sedation (twilight sleep) to keep the patient as comfortable as possible. The procedure involves inserting a catheter - a narrow, flexible tube - attached to electricity-monitoring electrodes, into a blood vessel, often through a site in the groin or neck, and winding the catheter wire up into the heart. The journey from entry point to heart muscle is navigated by images created by a fluoroscope, an x-ray-like machine that provides continuous, "live" images of the catheter and heart muscle. Once the catheter reaches the heart, electrodes at its tip gather data and a variety of electrical measurements are made. These data pinpoint the location of the faulty electrical site. During this "electrical mapping", the cardiac arrhythmia specialist, an Electrophysiologist, may instigate, through pacing (the use of tiny electrical impulses), some of the very arrhythmias that are the crux of the problem. The events are safe, given the range of experts and resources close at hand and are necessary to ensure the precise location of the problematic tissue. Once the damaged site or sites are confirmed, the specialist may administer different medications or electrical impulses to determine their ability to halt the arrhythmia and restore normal heart rhythm. Based on this data, as well as information garnered before the study, sometimes the specialist will proceed to place an implantable cardioverter device (ICD) or a pacemaker or will perform radiofrequency ablation. In any case, the information proves useful for diagnosis and treatment. Throughout the procedure, the patient is sedated but awake and remains still. Patients rarely report pain, more often describing what they feel as discomfort. Some watch the procedure on monitors and occasionally ask questions. Others sleep. The procedure usually takes about two hours. The patient remains still for four to six hours afterward to ensure the entry point incision begins to heal properly. Once mobile again, patients may feel stiff and achy from lying still for hours. Who Performs the Test and Where? Since potentially dangerous arrhythmias are provoked during an EP study, it is crucial that specialised staff are present to handle all situations. A physician Electrophysiologist, with advanced training in the diagnosis and treatment of heart rhythm problems, performs the EP study. The Electrophysiologist leads a team of specially trained health care professionals, technicians and nurses, who assist during the procedure. The team performs the EP study in an electrophysiology laboratory, or EP lab, a well-equipped, controlled clinical environment usually located within a hospital or clinic. As a result, the test is quite safe and complications are rare. Normally, electricity flows throughout the heart in a regular, measured pattern. This normally operating electrical system is the basis for heart muscle contractions. Sometimes, the electrical flow gets blocked or travels the same pathways repeatedly creating something of a "short circuit" that disturbs normal heart rhythms. Medicine often helps. In some cases, however, the most effective treatment is to destroy the tissue housing the short circuit. This procedure is called cardiac ablation. Cardiac ablation is just one of several terms used to describe the non-surgical procedure. Other common terms are: cardiac catheter ablation, radiofrequency ablation, cardiac ablation, or simply ablation. Like many cardiac procedures, ablation no longer requires a full-frontal chest opening. Rather, ablation is a relatively non-invasive procedure that involves inserting catheters - narrow, flexible wires - into a blood vessel, often through a site in the groin or neck, and winding the wire up into the heart. The journey from entry point to heart muscle is navigated by images created by a fluoroscope, an x-ray-like machine that provides continuous, "live" images of the catheter and tissue. Once the catheter reaches the heart, electrodes at the tip of the catheter gather data and a variety of electrical measurements are made. The data pinpoints the location of the faulty electrical site. During this "electrical mapping", the cardiac arrhythmia specialist, an Electrophysiologist, may sedate the patient and instigate some of the very arrhythmias that are the crux of the problem. The events are safe, given the range of experts and resources close at hand, and are necessary to ensure the precise location of the problematic tissue. Once the damaged site is confirmed, energy is used to destroy a small amount of tissue, ending the disturbance of electrical flow through the heart and restoring a healthy heart rhythm. This energy may take the form of radiofrequency energy, which cauterises the tissue, or intense cold, which freezes, or cryoablates the tissue. Other energy sources are being investigated. Patients rarely report pain, more often describing what they feel as discomfort. Some watch much of the procedure on monitors and occasionally ask questions. After the procedure, a patient remains still for four to six hours to ensure the entry point incision begins to heal properly. Once mobile again, patients may feel stiff and achy from lying still for hours. Many people have abnormal heart rhythms (arrhythmias) that cannot be controlled with lifestyle changes or medications. Some patients cannot or do not wish to take life-long anti-arrhythmic medications and other drugs because of side effects that interfere with their quality of life. 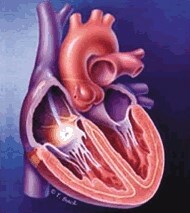 Most often, cardiac ablation is used to treat rapid heartbeats that begin in the upper chambers, or atria, of the heart. As a group, these are known as supraventricular tachycardias, or SVTs. Less frequently, ablation can treat heart rhythm disorders that begin in the heart's lower chambers, known as the ventricles. The most common, ventricular tachycardia, may also be the most dangerous type of arrhythmia because it can cause sudden cardiac death. For patients at risk for sudden cardiac death, ablation often is used along with an implantable cardioverter device (ICD). The ablation decreases the frequency of abnormal heart rhythms in the ventricles and therefore reduces the number of ICD shocks a patient may experience. For many types of arrhythmias, catheter ablation is successful in 90-98 percent of cases - thus eliminating the need for open-heart surgeries or long-term drug therapies.